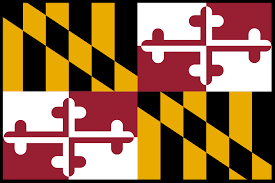 In Maryland, the civil SOL is capped at age 38 (age of majority, 18, plus 20 years) or 3 years after the perpetrator is convicted of a crime, whichever is later. (a) “Sexual abuse” defined. — In this section, “sexual abuse” has the meaning stated in § 5-701 of the Family Law Article. (b) Limitations period. An action for damages arising out of an alleged incident or incidents of sexual abuse that occurred while the victim was a minor shall be filed within 7 years of the date that the victim attains the age of majority. (2) sexual abuse of a child, whether physical injuries are sustained or not. (ii) A household or family member. (b) within 7 years of the date that the victim attains the age of majority. “Adult” means an individual who is at least 18 years old. “Child” means an individual under the age of 18 years. Noting failure to pass statutory discovery rule by legislature along with most recent extension, stating “[w]hen introduced as Senate Bill 68, Chapter 360 included two features that did not survive to final passage. The Bill would have made the statute of limitations twelve years following the later of the victim’s twenty-first birthday or the victim’s discovery that the alleged abuse was actionable.” (As enacted Md. Code Ann., Cts. & Jud. Proc. §5-117 reads “shall be filed within 7 years of the date that the victim attains the age of majority." After reviewing the arguments on both sides of the issue, we are unconvinced that repression exists as a phenomenon separate and apart from the normal process of forgetting. Because we find these two processes to be indistinguishable scientifically, it follows that they should be treated the same legally. Therefore we hold that the mental process of repression of memories of past sexual abuse does not activate the discovery rule. The plaintiffs’ suits are thus barred by the statute of limitations. If the General Assembly should wish to rewrite the law, that is its prerogative and responsibility. Appellant also urges us to analogize his case to the latent disease line of cases, for which the statute of limitations does not accrue until the plaintiff knew or reasonably should have known of the nature and cause of the harm. He bases this assertion on his claim that he did not know of the nature of the harm until his marriage ‘fell apart’ in 1994. See Pennwalt Corp., 314 Md. at 453; Pierce v. Johns-Manville Sales Corp., 296 Md. 656, 663, 464 A.2d 1020 (1983). We find the latent disease cases inapposite. Application of the discovery rule in latent disease cases is premised on the idea that a disease in its latent stage is ‘unknown and inherently unknowable.’ Wilson v. Johns-Manville Sales Corp., 684 F.2d 111, 117, 221 U.S. App. D.C. 337 (D.C. Cir. 1982) (quoting Urie v. Thompson, 337 U.S. 163, 169, 93 L. Ed. 1282, 69 S. Ct. 1018 (1949)); see also Harig v. Johns-Manville Products Corp., 284 Md. 70, 80, 394 A.2d 299 (1978) (stating that latent disease is “undiscoverable”). The harm resulting from the intentional tort of sexual battery is simply not ‘inherently unknowable’ to a reasonable person. In Maryland, there is no criminal SOL. No SOL for felonies and misdemeanors. Maryland has no statute of limitations on felonies or penitentiary misdemeanors beyond that imposed by the life of the offender. Age of Majority: 18. See Md. Code Ann. Est. & Trusts § 13-101(m) (“A ‘minor’ is a person who has not reached the age of 18.”). Age of Consent: 16. See Md. Code Ann. Crim. Law § 3-304. Age of Marriage with Parental Consent: 16 (under 16 with judicial consent or proof of pregnancy). See Md. Code Ann. Fam. Law § 2-301.